Native to Newton, Massachusettes, Bruce Kopelman left the area after graduating high school there. He attended and graduated from Northeastern University and then lived in New York and New Jersey. He and his wife Karen have three children, Douglas, Adam, and Samantha, and four grandchildren. Mr. Kopelman currently is employed with the Kopelman Group, a real estate investment corporation, which he founded in 1992. 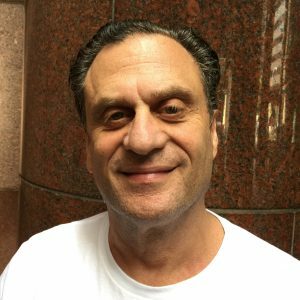 Mr. Kopelman has an array of business ownership experience and will bring his knowledge of budgeting and networking to the Unbroken Warriors. He ran Kopelman Industries, founded Made Here Inc., owned Rich-Par Dye Finishing Corporation, and founded Bal-Togs Inc. Bruce Kopelman has extensive experience overseeing the start-ups and creations of businesses and has a keen sense of money management. He has an unwavering sense of patriotism and immeasurable respect for those who have, and are currently, protecting our country. He hopes to pay forward all the blessings his life has had by helping veterans treat their PTSD.